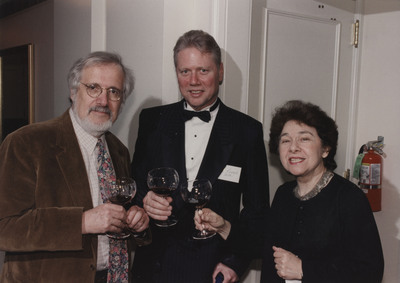 Howard Goldberg, Richard Dean, and Beatrice Goldberg attend the Erath Vineyards 25th anniversary celebration at The Mark Hotel, New York City. Hinsdale, Lane, "Erath Vineyards 25th Anniversary 11" (1997). Erath Winery Photos. Image. Submission 76.